The controversy surrounding fast food restaurant Chick-fil-A put the Care and Share Food Bank for Southern Colorado in an “awkward position,” according to its CEO, Lynne Telford. 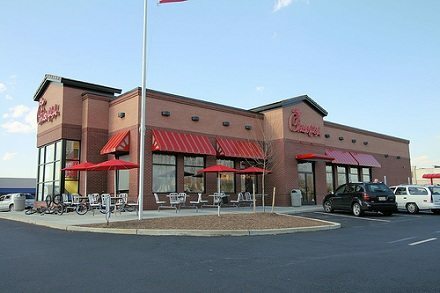 In a brief recap of the backstory here for those of you who somehow dodged the cable news-fueled culture war deluge on this one, Chick-fil-A’s CEO has stated that his company only supports traditional marriage (i.e., it doesn’t approve of gay marriage). Boston Mayor Tom Menino replied with a statement encouraging Chick-fil-A, which had planned to expand into Boston, to take a hike. Since then, a small army of talking heads have sounded off on the issue. What, you might reasonably ask, does any of this have to do with a Colorado Springs, Colo. nonprofit food bank that’s trying to feed hungry people? The Care and Share Food Bank for Southern Colorado’s annual food drive is sponsored by Chick-fil-A. As a result, LGBT activists in the area called for the nonprofit to make a statement denouncing the marriage stance of the event’s sponsor. “It is awkward, but we’re trying to feed people — that’s what we’re trying to do, and we set this up a long time before any of this came up,” Telford said.